Port Colts Junior Girls Footy-We are the only LOCAL club with PATHWAYS from AUSKICK, ALL JUNIOR AGE GROUPS & WOMENS football all the way to VFLW and beyond! Come and be a part of AFL history and join our Port Colts Junior Girls Footy! We have a fantastic GIRLS program, with the bes 2018 season, I don't know who enjoyed the season more, it was a toss up between the girls, the coaches, the parents, or the spectators around J.L. Murphy Reserve. Girls can play football from 7 years of age, Port Colts Junior Girls have teams for Under 10s, Under 12s, Under 14s, U16s & U18s. From the age of 16+ we also have a Womens Development side and our Port Melbourne Football (VFL) Div 1 Team. PLEASE NOTE; There are modified rules for GIRLS playing in the U10s & U12s. Port Colts Auskick also has a dedicated Girls Program, where our girls can choose to do girls only or mixed auskick. 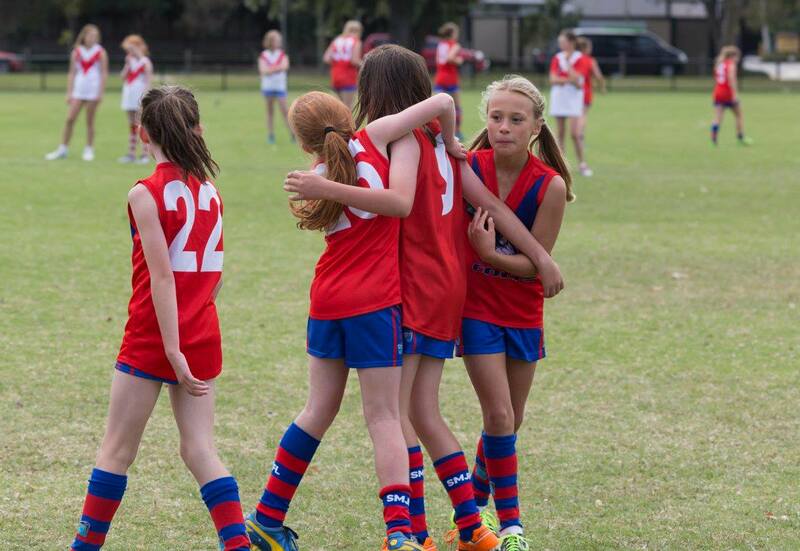 Our junior teams also provide opportunities for girls to play mixed or girls only footy. Pre-season training runs each Tuesday 5.30pm (primarily for U10s & U12s, but all girls are welcome to train as we have a dedicated GIRLS coach) or Thursday from 5.30pm (primarily U14s, U16s & U18s, but all girls are welcome to train and we provide a number of coaches for this). Check out our pre season times page for the latest info. WE ARE 100% COMMITTED TO ENSURING OUR GIRLS CONTINUE TO GROW FROM STRENGTH TO STRENGTH AND HAVE THE BEST FOOTBALL EXPERIENCE! Come down and see why Port Colts is the fastest growing GIRLS footy club!